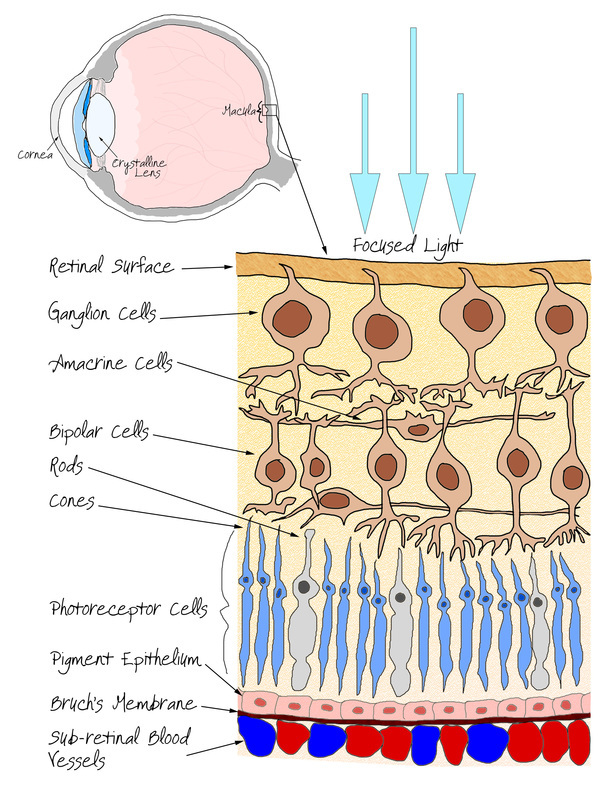 The retina is a marvel of evolutionary bio-engineering. By it’s very nature it is a highly sensitive structure which is susceptible to attack from harmful substances and even light (the wrong kind that is). 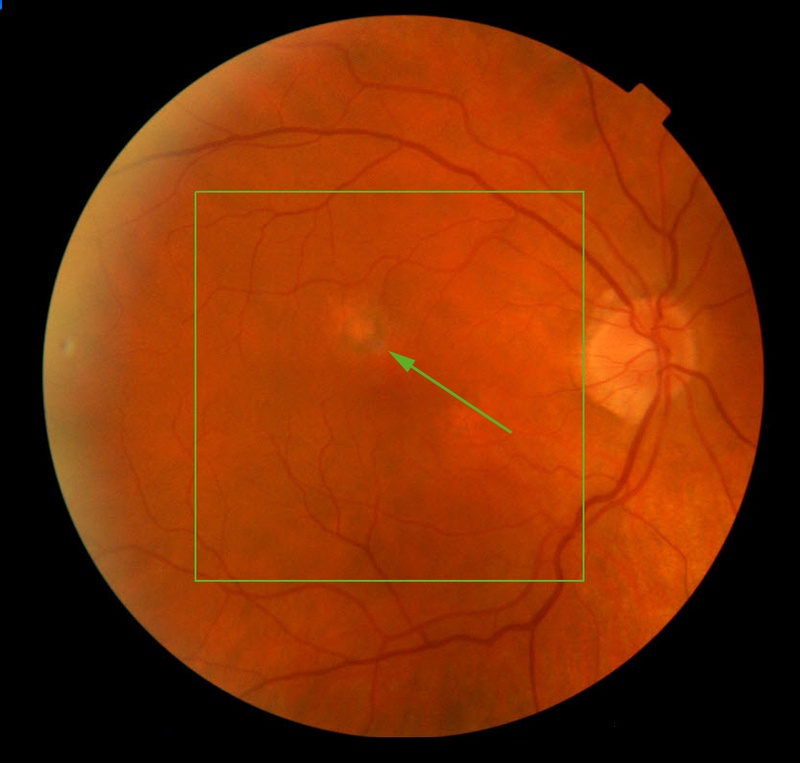 The normal retinal structure can be seen adjacent. Think of it as the film in a camera, except the circuitry of the camera is sitting on top of the film. 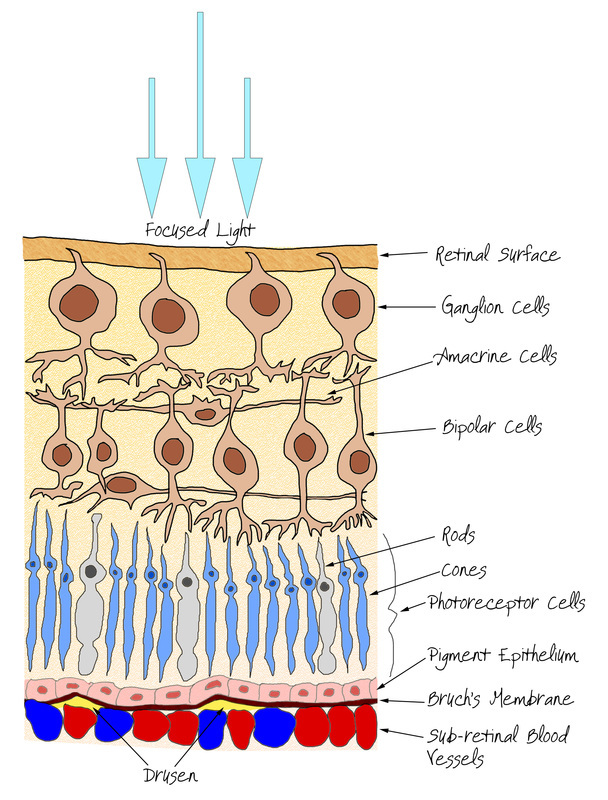 The light enters the eye and is focused by the cornea and the crystalline lens onto the retinal surface where it passes through the retinal nerve fibres and activates both the rod and cone cells (named after their shape), resulting in a electrical signal being conducted through the nerve cells (the ganglion, bipolar and amacrine cells) on it’s way to the Occipital cortex within the brain enabling us to see the world around us. As you can see the retina is very much part of the nervous system and is a peripheral component of the brain. Just like in a brain injury, should the worst happen and the retinal tissues be damaged in any way then the tissue does not repair itself and simply leaves a scar behind. 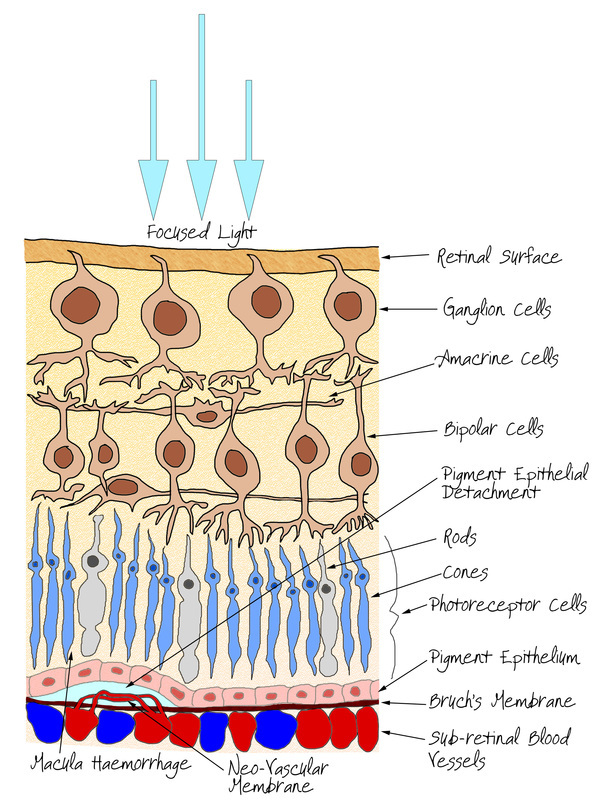 In the retina, scarred tissue is blind. Think of the damage as clumps of pixels not working on your computer screen. 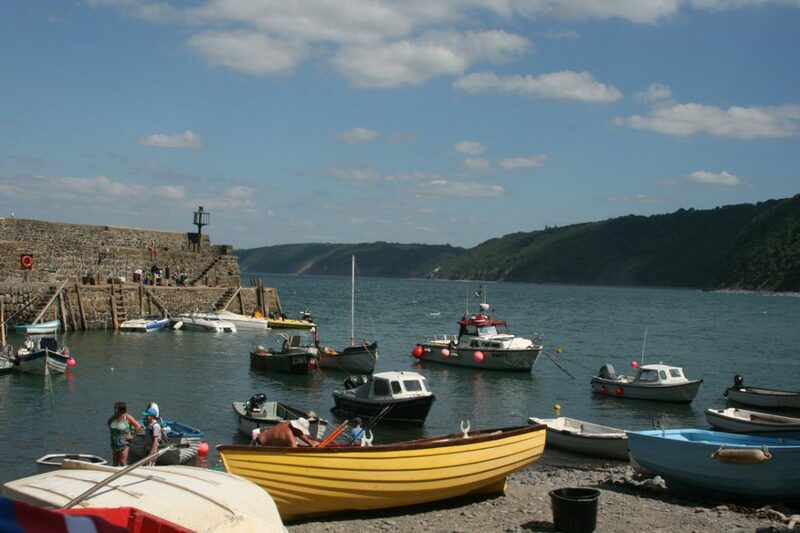 The screen will produce an image but that image will have patchy areas of no signal. Unfortunately the answer to this question is “we don’t really know fully”. What we do know, however, is the risk factors. 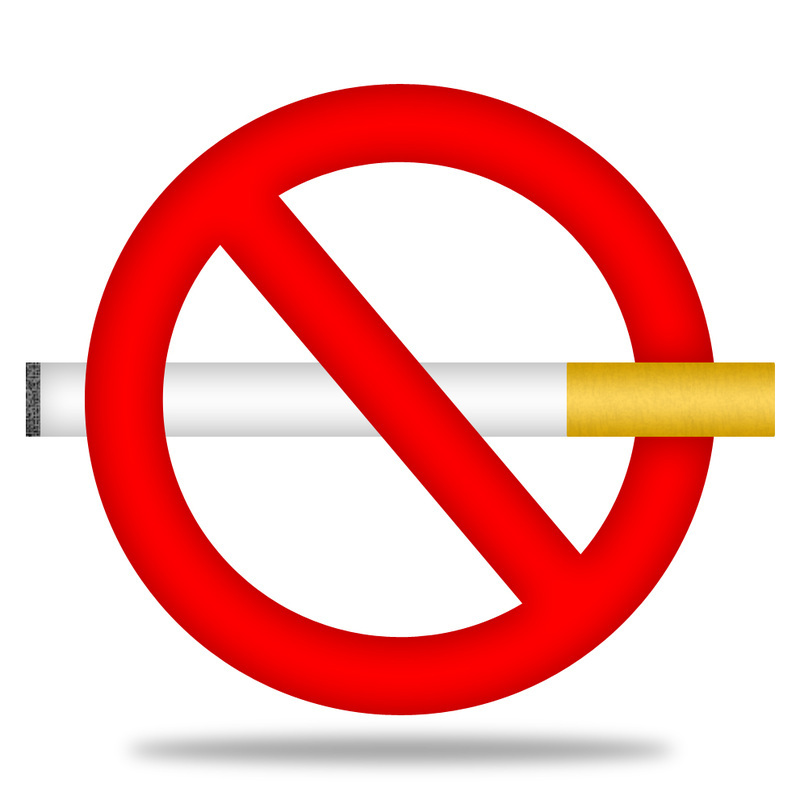 We do know that UV light, smoking and poor nutrition are all significant risk factors. Racial and gender specific risks are also evident. By far the largest group exposed to AMD is caucasian females, we believe this mainly to be a result od UV light exposure, caucasians have a smaller proportion of melanin pigment in their tissues. Melanin is instrumental in mitigating the harmful effects of UV light. 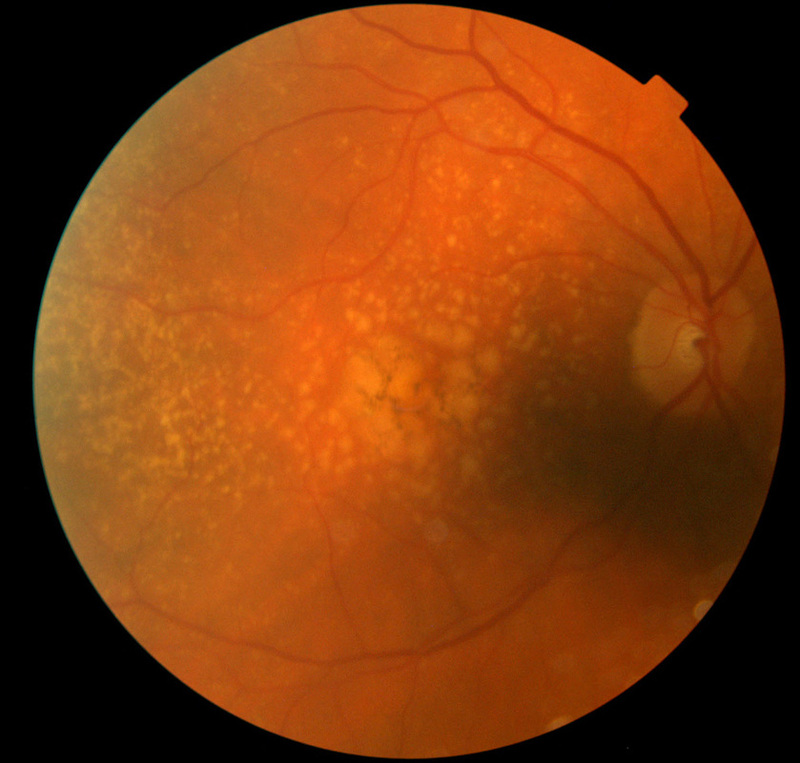 Blood pressure, cholesterol and obesety have all been linked to an increased risk of AMD. 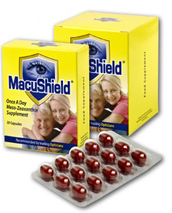 Those who have a family member with AMD have also been shown to have a greater risk of developing the disease. 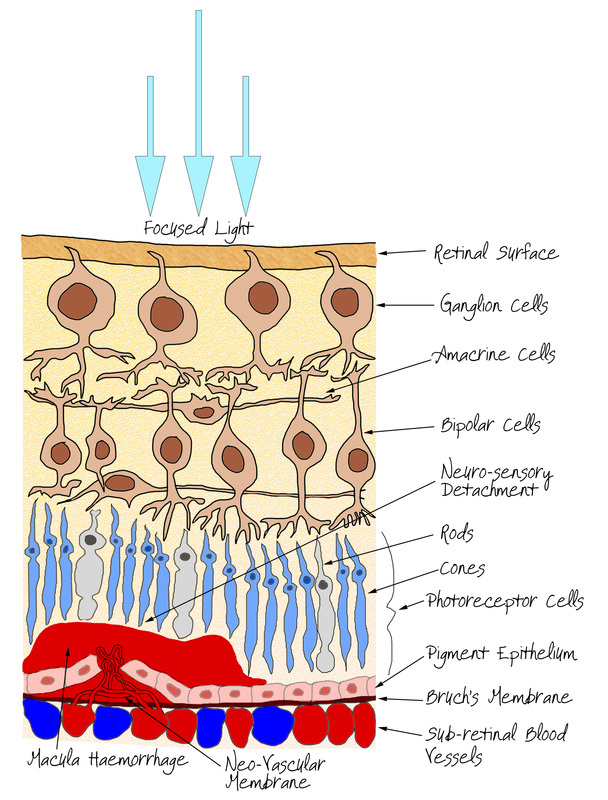 In Dry AMD the photoreceptor support structure called Bruch’s Membrane thins or breaks down resulting in damage and death to the photoreceptors. Magnifiers, although cumbersome can offer a vital lifeline and modern technology has provided a plethora of gadgets and innovations to help those affected. Advice and demonstrations can be sought via one of our Optometrists or the local Blind Society, N-Vision at Squires Gate (click the image, on the right, for more information). 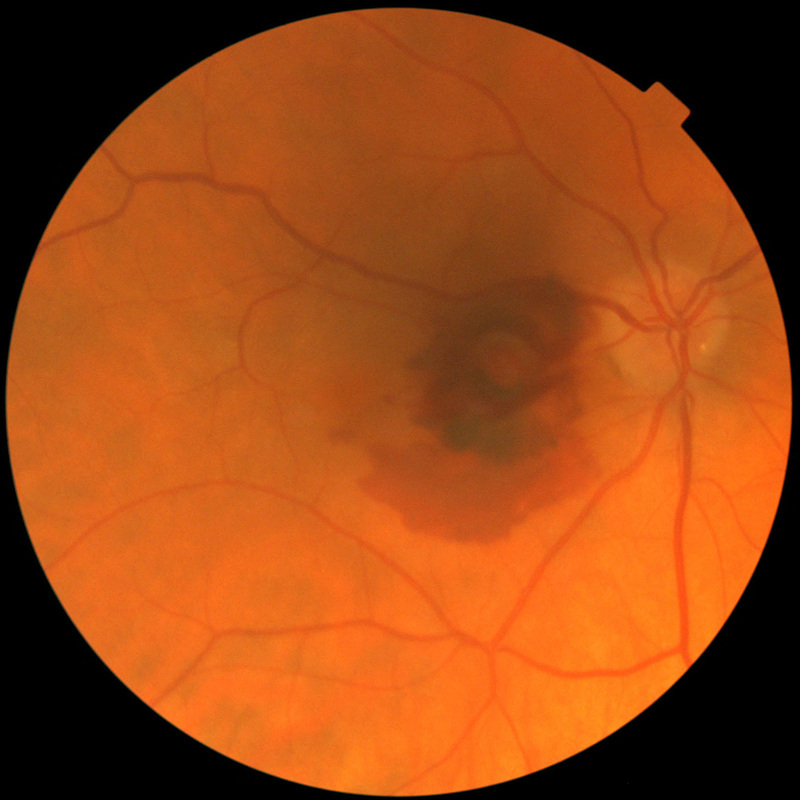 Pigment Epithelial detachment or PED occurs when there is a separation between the support structure called Bruch’s membrane and the pigment epithelial layers of the retina. 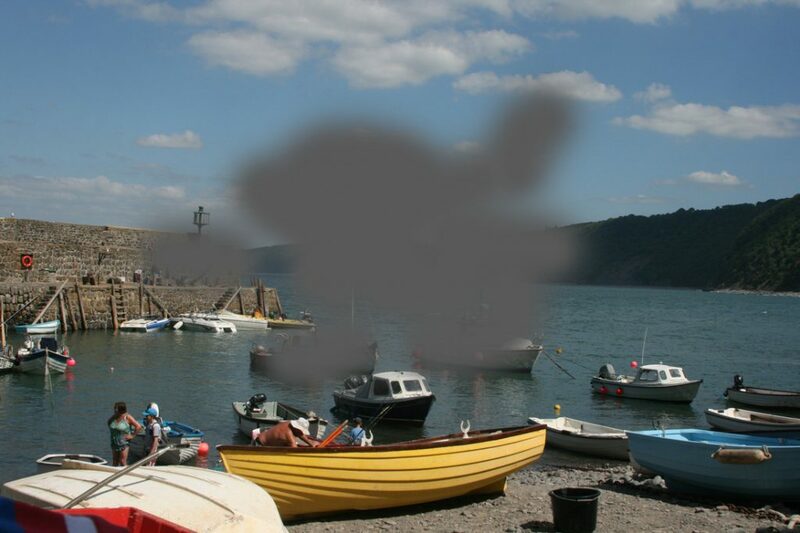 They can occur for a variety of reasons, not all associated with AMD. Clinically they are seen as small domed elevations within the retina usually caused by the presence of large coalesced drusen or by the growth of new blood vessels through Bruch’s membrane into the inter-cellular space between the two layers. Treatment of a PED is not always necessary and they can be highly resistant therapy. The PED itself is not treated but the underlying cause can be. 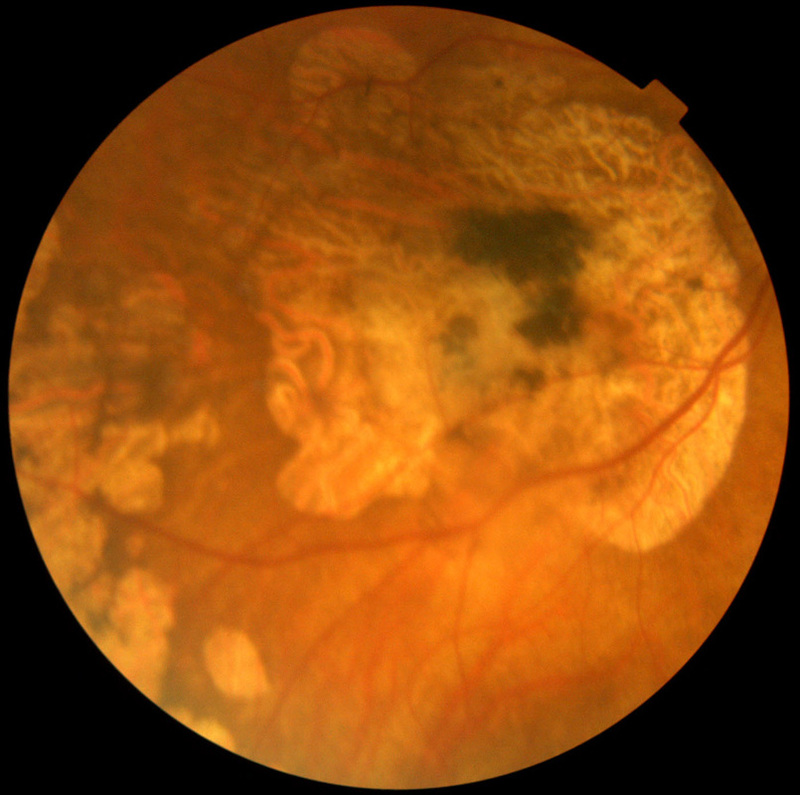 Any fluid build up can be targeted with an appropriate anti-VegF agent. 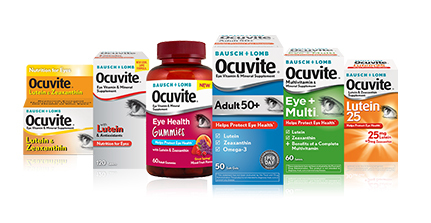 These are a group of drugs that target new-blood vessels and hinder their formation, resulting in an absorption of the intra-retinal fluid. Some practitioners advocate the use of laser treatment for PED’s, this again is treating the blood vessel formation but in a much more destructive way. The laser is used to burn the surrounding retina destroying it, since a dead retina does not need oxygen or nutrients the new blood vessel growth is no longer needed resulting in resolution of the PED. This should only used when the laser treatment itself would not threaten the central vision. Wet AMD is named as such due to the presence of fluid within the retina. This is a sudden event arising from haemorrhaging new blood vessels (neo-vascular membrane) which has grown through Bruch’s Membrane. 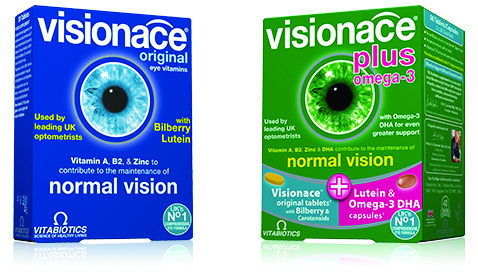 The sudden nature of this event results in a sudden loss of vision centrally and can be quite significant. The haemorrhage causes a neuro-sensory detachment where the photoreceptors detach from the nutrient giving support structures of the Pigment Epithelium and Bruch’s Membrane and can be damaged beyond repair. The most significant symptom preceding a Wet AMD event is that the central vision becomes distorted, sometimes significantly. Objects known to be straight such as chair legs or door frames appear to be “kinked”. This is because the photoreceptor layer has become distorted by the haemorrhaging (see opposite).